Chris Brown’s much-anticipated documentary, “Chris Brown: Welcome to My Life,” hit Netflix earlier this month and has been receiving rave reviews since its release. The documentary, which came out in select theaters June 8, features the singer getting personal as he talks about the ups and downs of his career, including his highly publicized relationship with Rihanna. Also included is new concert footage as well as behind-the-scenes access and interviews with industry titans and Brown’s closest friends, like Jennifer Lopez, Usher, DJ Khaled, Mike Tyson, Mary J. Blige, Jamie Foxx, Rita Ora and others. Since 2005, Chris Brown has been a household name, quickly rising to fame with hits like “Run it,” “Yo (Excuse Me Miss)” and “With You.” Brown has also appeared in several blockbusters, like “This Christmas,” “Stomp the Yard” and “Takers.” Brown’s career quickly took off, and he was dubbed this generation’s Michael Jackson. In 2007, Brown was linked to singer Rihanna after a collaboration on a remix of one of her biggest songs “Umbrella,” which the two later performed at the VMAs that same year, sparking rumors that the two were dating. Brown and Rihanna became an item in 2008, but in 2009 Brown was charged with assaulting Rihanna and making criminal threats. This initially marked Brown’s fall from grace and tainted his career, painting him as a “monster” and the “bad boy of R&B.” This was also just the start of legal troubles for Brown. 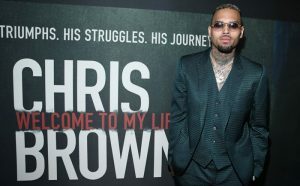 Brown’s “Welcome to My Life” documentary showcases the Grammy award-winning singer in his most vulnerable state as he revisits some painful parts of his life. The documentary gets particularly dark when he talks about his relationship with singer Rihanna, detailing the timeline of their love story from the time they first met to the night of the pre-Grammys party, revealing what happened. Brown does not hold back, even stating that he was serious about building a relationship with his then-girlfriend. “A little bit after the VMAs performance, I broke it to her and was like, ‘Hey, I want to marry you,’” Brown said. He openly talks about the immense pressure he faced growing up in the spotlight and dealing with fame at such a young age, stating that his mother urged him to go to therapy to stay grounded. Some fans felt the documentary humanized Brown and restored their faith in the singer after all these years. “I basically loved how it told who he is and why he is from start to finish,” senior pharmaceutical sciences major Taylor Clark said. The documentary not only focused on Brown’s troubles but also the positive things that have happened to him and his career. “I like that it humanized him and showed the story of his life from when he was young to now,” political science major Gabby Beech said. Brown’s documentary will intrigue viewers as they reminisce about the good times of his career and the dark moments in his life. The documentary is now available on iTunes and Netflix as well as for purchase on Amazon.